Here is a great 2 bedroom house, in move in condition on Calle 66. 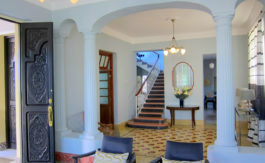 This house has two entrance rooms, kitchen, den and a half bath in the front Colonial section of the house, then two self-contained casitas separated by gardens and a pool and finally a back garden. The sleeping areas are a haven of tranquility and light, offering complete privacy. Due to the lot being more than 65 meters long and the type of construction of the house, it could easily be extended upon further. 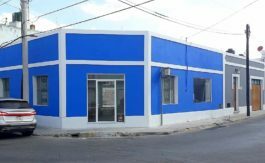 The location is perfect on a non-bus, mostly redone, Santiago street that is just 4 blocks from Santa Lucia and also nearby to Paseo de Montejo. This location is highly desired so come have a look!